I used my Typeset Alphabet to die cut the baby's name and adhered it onto Whisper White card stock that I cut into a tag shape then attached it to the ribbon. 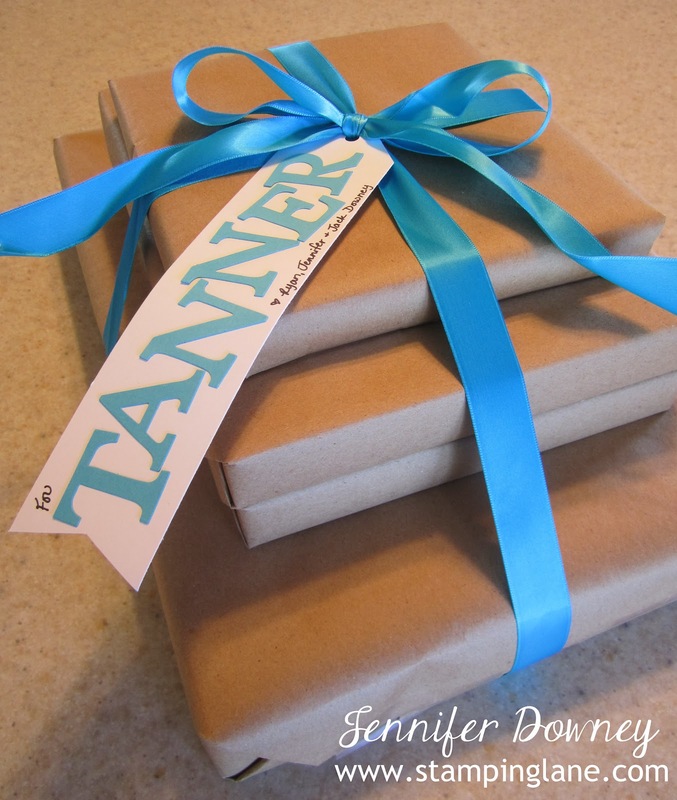 I chose Tempting Turquoise card stock for the name to coordinate with the turquoise satin ribbon I had on hand. The shower was nice and I think they enjoyed the gifts. We can't wait to meet you Tanner! Happy Stamping!